Let the drama begin! Spain has revealed the 17 competing songs still in the race for their national selection — aka the Eurovision Gala of Operación Triunfo. It’s expected to happen in January. Only three of them will make it to the Eurovision gala via the public vote. Yes, that’s the same public that is expected to make an informed decision after only hearing a one-minute snippet of each demo. Laughable. A jury will select the other seven entries, and then who knows what will happen in the always surprising Spanish Eurovision selection. Before the sound problems, screaming, cries and people giving the finger, we want to know your opinion (politely, if you please). Which three songs should qualify to the Eurovision gala? Click here to listen to all the songs and vote for your favourites over at RTVE. How does the Eurovision selection process work? Spain’s RTVE — as always — changed the process by which they’re selecting their song for Eurovision. This year, the OT contestants recorded one-minute demos of their songs. Those demos are available online at RTVE.es and people can vote for their top three on a daily basis until the January 2 deadline. Keep in mind that these are just demos, not the final versions, so judge them on their potential. The three most popular songs will advance directly to the live show. Two board members of broadcaster RTVE, one from RTVE Digital and two OT academy professors will select seven more songs from the remaining 14. Then at the OT Eurovision Gala, ten songs will battle for the right to represent Spain in Tel Aviv. After the ten finalists are selected, the singers will work with the songs’ composers and producers on the final versions of their songs. 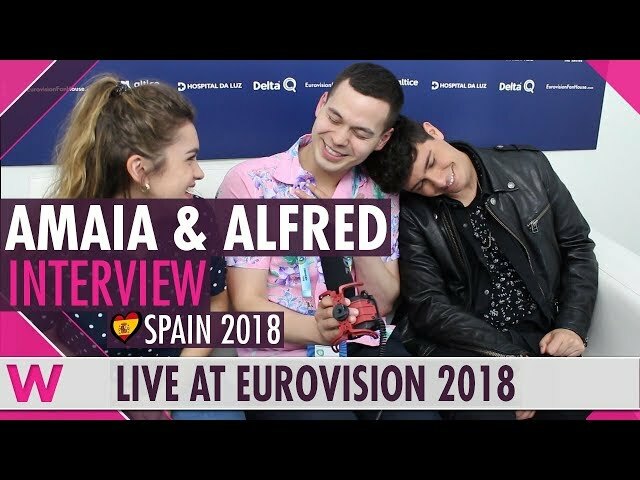 Spain's Amaia & Alfred - had their first rehearsal today inside Lisbon's Altice Arena. Here's our interview. Who should make it to the OT gala? Can Famous win the Eurovision gala and head to Tel Aviv? Should Miki fly to Israel with any of his three songs? Or may Sabela and Carlos Right have it easier with their two tunes? Tell us in the comment section below! If I understand correctly, all 10 songs will be performed live in the OT gala, with 3 of them making it to the super final, like it is made in Norway. When we can listen the full version of the spanish songs? At the latest, we’ll hear the full versions at the Eurovision Gala, due to be held sometime in January (date to be confirmed). At the moment, the full versions don’t exist. Once the ten gala entries have been selected, the full versions will be finalised in conjunction with the artists, songwriters and producers. They may be released prior to the Eurovision Gala (and this seems pretty likely), but RTVE has not confirmed this. Maria, Alba and Natalia do NOT want to go to Eurovision. They are already starting PR to ensure the public and the selection commitee don’t see them as good candidates for Eurovision. Than who wants to go? Why they don’t wanna go? People said that they said in the live broadcast on friday? So what is true? They said they don’t like the idea of Eurovision being in a place like Tel Aviv, which is normal. Murdeme is the best song, but im worried that Maria might do it badly with her live performance on purpose so that she wont win… previously, she didnt show much interest in going to Israel and was hoping others would be chosen. Not sure if she’s gonna change her opinion or if she actually wants to go, but i hope she will try her best LIVE despite what she wants. For her sake, I hope she is professional enough not to screw this up. It is embarrassing and stupid. Okay i love MURDEME it’s sooo catchy. I hope they wont screw this up again. I find El equilibrio somehow very soothing. Nunca fui is quite nice too. But sadly, I don’t see an Eurovision winner here. I’m only certain I won’t stand another screaming Spanish diva in May. ._. The songs I want to see are “La Clave” “Muerdeme” and “Hoy Vuelve A Reir Otra Vez”. Muerdeme should be picked as the song to go to Eurovision. Famous’ song is very weak in my opinion. Great, charismatic dude but with this song it’s not gonna end up high in Eurovision (looking at bottom 5 again). Alba her song is sweet, but doesn’t make an impact. Voting based on these short clips is quite hard to do, however. I feeljust bad for Famous. His song is bland and forgittable. He has a great song. Great charisma and he really wants to go to eurovision. And that for enough. As said in one of the comments, and i agree, it is a good song, but lacks an impact, that people are looking in eurovision. But i am waiting for the live show. Can’t wait. To be a nice person is a virtue. But i think, that he is way bettee than his song. I voted on: “La clave” (my winner I guess), “Muérdeme”, “Nadie se salva”, “La venda”. Voted for “Muérdeme”, “La venda” and “La clave”. The only songs that really make me go happy and excited. “Vuelve” could also be a contender, if they wanted another ballad. It’s probably the best ballad in the selection. Not bad, like, there isn’t a song you can say is “WOW! WHAT A WINNER!” but they are fairly decent songs, better than last year, at least for me. It all will depend on what Spaniards want to represent us, but I wouldn’t be embarrased with any of those songs going to Tel Aviv waving our flag. If I’d have to choose 3, personally I’m more inclined to Famous’ “No Puedo Más”, Noelia’s “Hoy Vuelvo A Reír Otra Vez” and Sabela’s “Hoy Soñaré”, but, of course, that’s based on my personal taste. I agree with you! I want maria with muerdeme. But if not, vuelve and the 3 songs you said are great choice. This year spain is much better than last year. Shame they didn’t send lo malo . BIG HUGE MISTAKE FOR NOT SENDING LO MALO. For some reason, I cannot get excited for any of those songs…. Muérdeme is the best song, but why give it to one of the worst singers? I don’t know if juries are voting in OT, but if she’s tuneless, they’re not going to vote for her. Hoy soñaré is the best song for me! I say this because last year in my country’s selection (You Decide), Asanda was the clear favourite. When she performed, she sounded out of breath, disappointing many people. So, I’ll just have to wait and see until Maria performs the song live and the staging. I can see María pulling an Asanda, honestly. Definitely not. They are both different artists and have different songs. Asandas song was way too difficult. Maria has a reggeaton and way more stage presence and charisma than asanda. Muèrdeme is so overrated, La Clave is the only good song of this selection. Spain chose the wrong song last year and will probably do it again..
All songs are good. This year spain got it right. Muèrdeme is killing it with YouTube views. Considering how strong it is already and it’s a demo I think we have a clear winner. 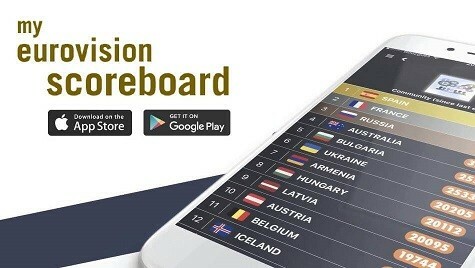 This year isn’t looking particularly hopeful (I know we say it every year…but Latvia and Estonia have no qualifiers in their bunch unless they’re staged to the hills). It’s La Clave or Muérdeme…can’t even think of a viable third. I can see Muérdeme giving Spain a top 10 finish, La Clave top 15. “La venda” could be a third, but I’m dissapointed that two of the best songs were awarded to the most average performers of the selection. Couldn’t “Muérdeme” being performed by África? Like, seriously? No. Muerdeme is perfect for maria. Good song needs an attitude a good vibe, swag and maria delivers that in the song. La venda is literally a plagiarism of SOFIA by alvaro soler. I agree for Latvia (only possible qualifier is Edgars Kreilis if he nails the staging), but Estonia has several great songs in the mix. Winners? Likely not. Qualifiers? Around five or six of them. Muérdeme is this year’s Lo Malo.. hopefully the Spanish public will respond to this bop! Even if she gets picked, RTVE will f*ck up the staging yet again and the main problem is she’s one of the weakest singers in OT. Honey. There are plenty of weak singers that have reached top 5 or even won eurovision. It means NOTHING. And from what i’ve seen, she’s pretty and has stange presence. With Maria being my favourite.